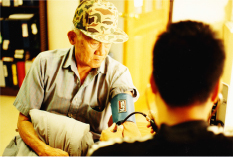 Established in 1990, the Asian Pacific Community Fund (APCF) is a 501(c)(3) nonrofit organization focused on transforming lives and meeting the diverse needs of the Asian and Pacific Islander (API) community, one of the fastest growing populations in the U.S.
• Encouraging active engagement in philanthropic activities. The combined knowledge and experience of APCF staff and its Network Agencies make APCF a safe and trusted option for donors. We are recognized for our expertise in the API community and our ability to reach the broader API community, as well as our access to individual ethnic communities. To date, APCF has awarded $5 million to its Network Agencies and other community organizations, enabling culturally sensitive and linguistically appropriate services to enhance the lives of 250,000 people annually in 26 Asian and Pacific Islander languages, in addition to English and Spanish.